MMJ Labs' new name, PainCareLabs, better reflects the company's goals and mission. ATLANTA, GA, USA, August 7, 2018 /EINPresswire.com/ -- PainCareLabs Personal Pain Control Solutions (formerly MMJ Labs, LLC) (“the Company”) is pleased to announce its formal name change to PainCareLabs. As part of the rebranding, PainCareLabs has launched a new website that is a gateway to all of its brands. 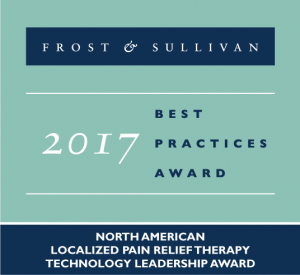 Recognized by Frost and Sullivan as the industry leader in noninvasive pain relief, the Company is a technology-driven provider of reusable pain relief devices. Since 2009, the Company has offered Cool-Pulse™ solutions for needle pain (Buzzy®), for chronic and acute injuries (VibraCool® Vibrating Cryotherapy), and - coming soon - for low back pain (DuoTherm™ Vibrating Back Relief). The Company’s new name better reflects its mission of delivering effective, reusable, affordable solutions to pain. In 2006 when pediatrician Dr. Amy Baxter founded the company, the “Buzzy” needle pain relief device was for every parent to help children needing needle procedures. “From concept to packaging, my children Max, Miles, and Jill were part of the Company’s DNA,” says Dr. Baxter, "so naming the company after them made sense." “When we began to understand that our patented combination of thermal and vibration could do more than block needle pain, our team wanted something that painted a clear picture of what we offer. Another compelling reason for changing our name has been the increased use of medical marijuana, rather inconsistent with our drug-free pain relief solutions,” explains Dr. Baxter. The Company’s newest development on its patented neuromodulation platform will introduce the element of heat. “DuoTherm Vibrating Back Relief” will combine vibration with heat or cold to immediately soothe lower back pain. DuoTherm will be an effective, drug-free, and immediate solution to back pain. PainCareLabs is a woman-owned and operated business headquartered in Atlanta, Georgia. Established in 2006 by Dr. Amy Baxter, an emergency MD and pain researcher, PainCareLabs develops reusable, inexpensive physiologic products for personal pain control. The flagship product Buzzy®, a bee-shaped palm-sized device combining cold and vibration to combat needle pain, is clinically proven in over 20 studies. Buzzy has been used for over 31 million procedures. VibraCool® Vibrational Cryotherapy combines the unique frequency of Buzzy with larger ice packs and an orthopedic compression strap, providing a wearable cold therapy product for aches, muscle stiffness, and injury pain. In development: crowdfunding for DuoTherm™ for low back pain relief will be launched September 4 2018.